Glasso Pack Private Limited was established in the year 1991. We are Manufacturer & Supplier of Plastic Bags, Shopping Bags, Carry Bags, etc. Our entity is a leading name, engaged in offering an elite assortment of Courier Plastic Bags. Professionals employ the optimum grade input, which is obtained from industry permitted sellers to make our provided assortment. This assortment is extremely well-liked by customers due to their best quality and long lasting nature. In addition, we provide these products to our client at low prices. 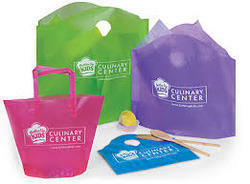 We are providing to our clientele Fancy Shopping Bags. This bag is extremely used by customers due to their optimum quality and strong structure. Our presented bags are made by professionals using the best grade material which is sourced from authentic sellers of market. In addition, we are providing this bag in diverse sizes and designs. The offered bags are ideal for packing hospital waste material. They are exceptional in quality and are free from foul odor too. Being made in a highly sophisticated laboratory, these plastic bags are meant to serve for a long period of time.